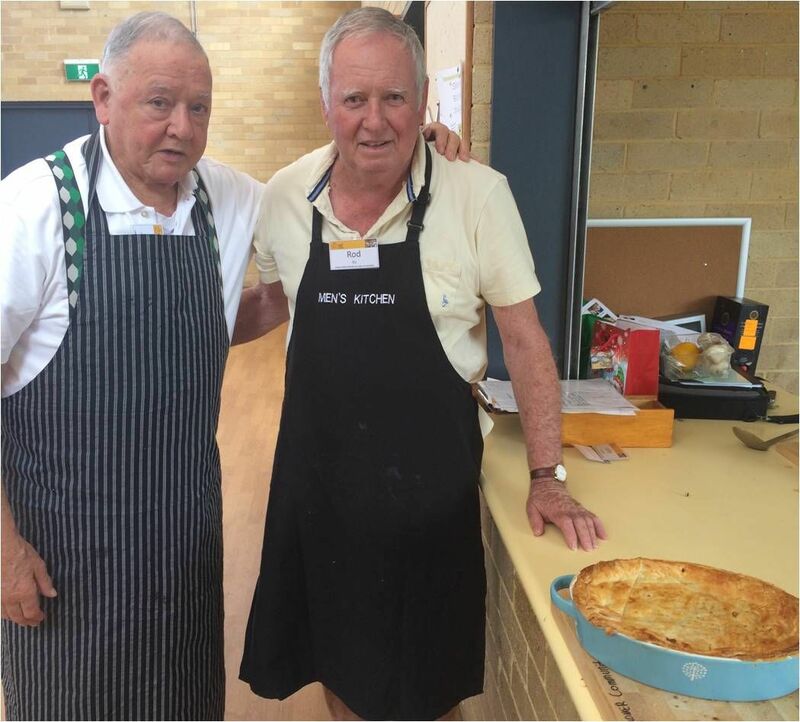 Barry and Ray proudly display their Pear and Almond Butter Cake, while the rest of the boys wait for a taste. Click for full image. June 20th 2018: Bob McM. Serving up our Rhubarb Crumble and ice-cream What an absolute treat!!!! Click for full image. 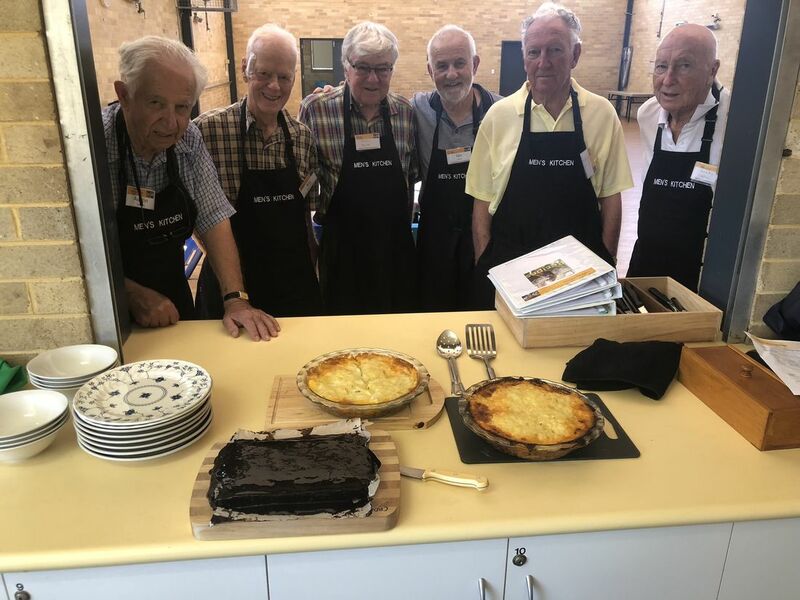 Austin, Ray, Paul, Ian, Ross and Barry admire today's creations: Shepherd's Pie and Honey Chocolate Cake. I'll tell you what...... bloody delicious. 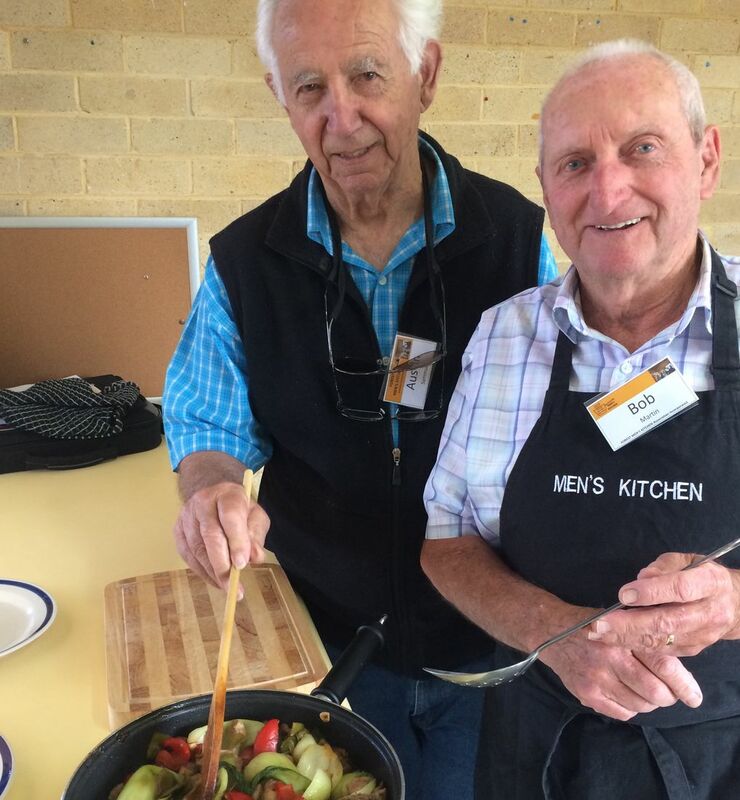 Well done boys, older blokes CAN cook! 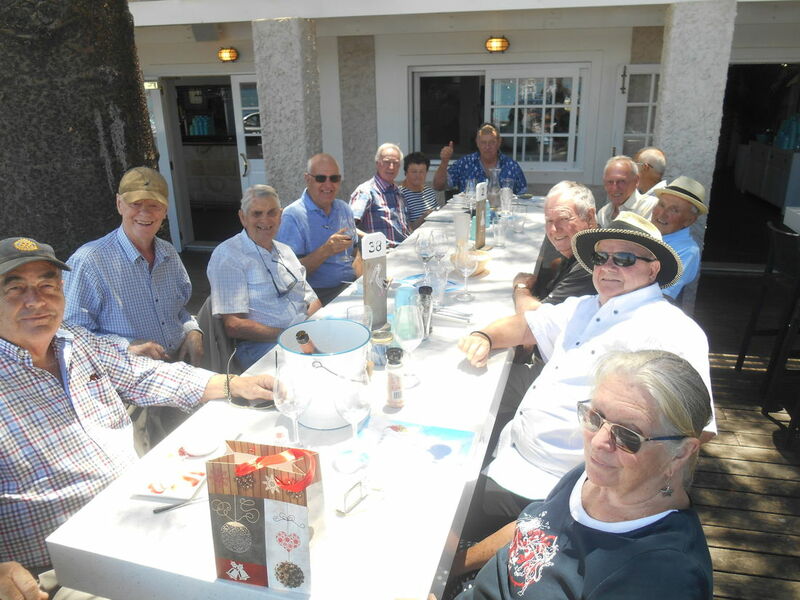 For our 2017 Christmas function, fourteen of us took the ferry from Palm Beach to Patonga and had someone else cook for a change. Great day out was enjoyed by all. Thanks Bob for the pic. 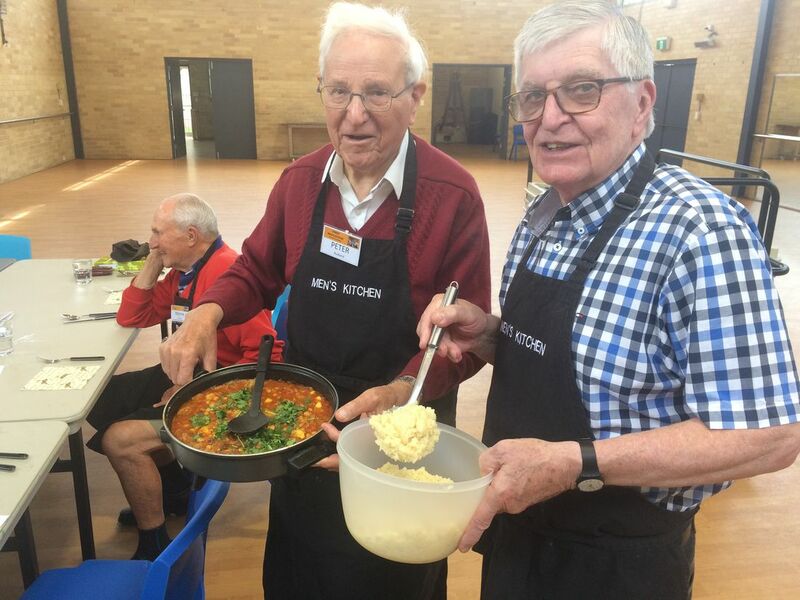 John and Rod are chuffed with their Chicken, Leek and Mushroom Pie. 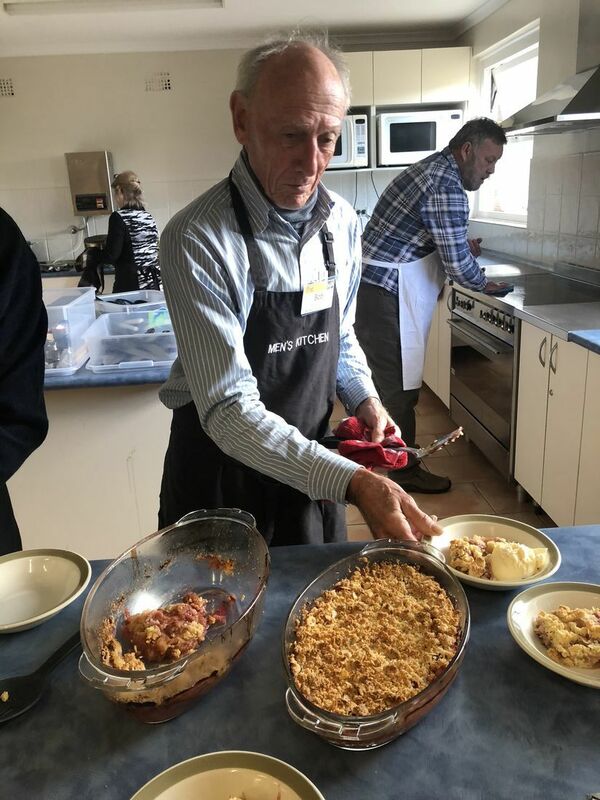 Our 13 attendees all really enjoyed this meal. 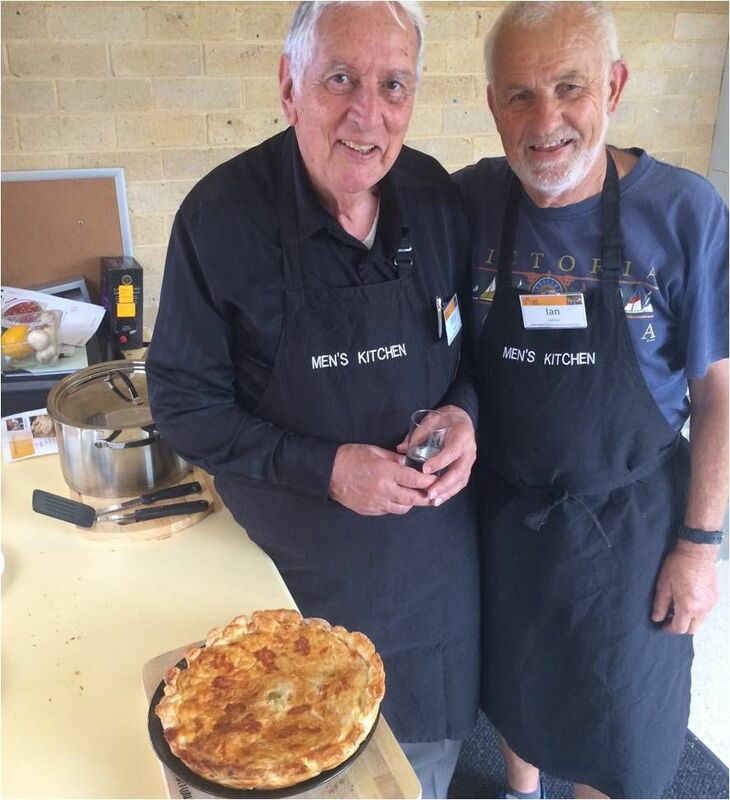 Mick and Ian prepared a fantastic Chicken, Leek and Mushroom Pie for our team and guests today. 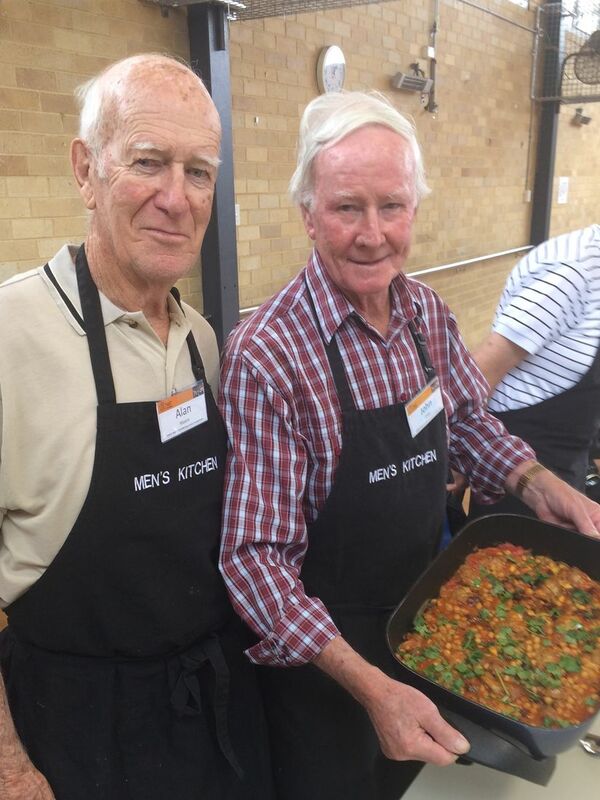 Alan and John proudly stand by their chicken and date tagine. 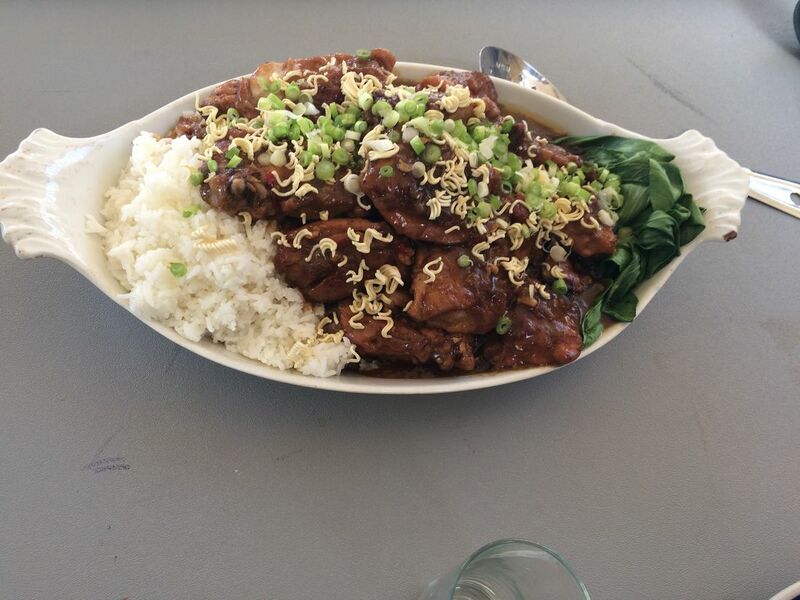 It was a fantastic dish. Well done to you both. 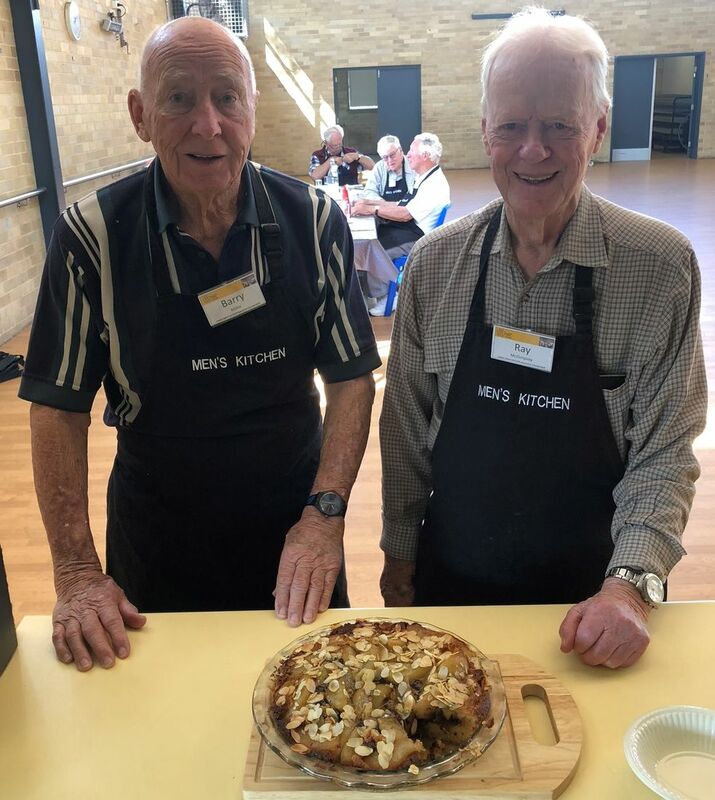 Austin and Bob proudly display their delicious Sticky Chinese Pork which they cooked for our lunch today. Scrumptious! Mark, Kerry, Rod and Graham about to get stuck into some seriously delicious Korean chicken wings and kimchi. 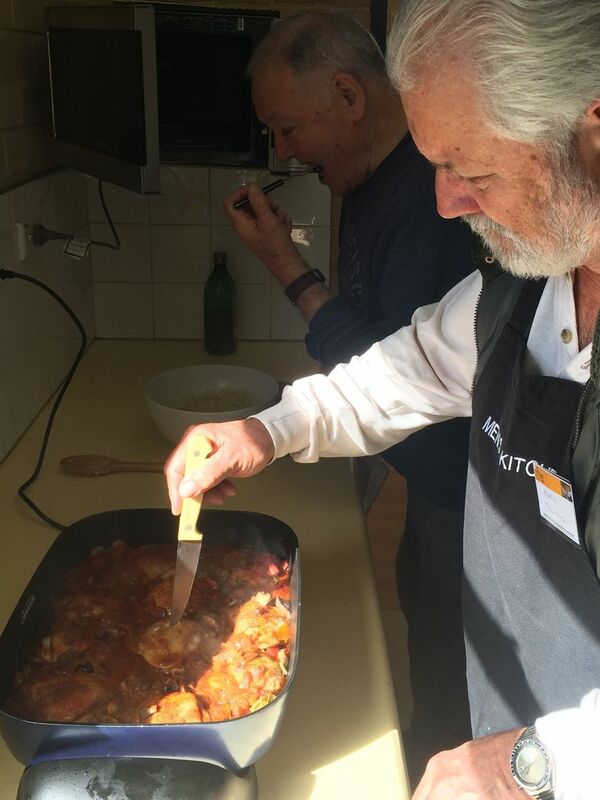 Mark checks the Chicken Cacciatore to see if it is cooked. 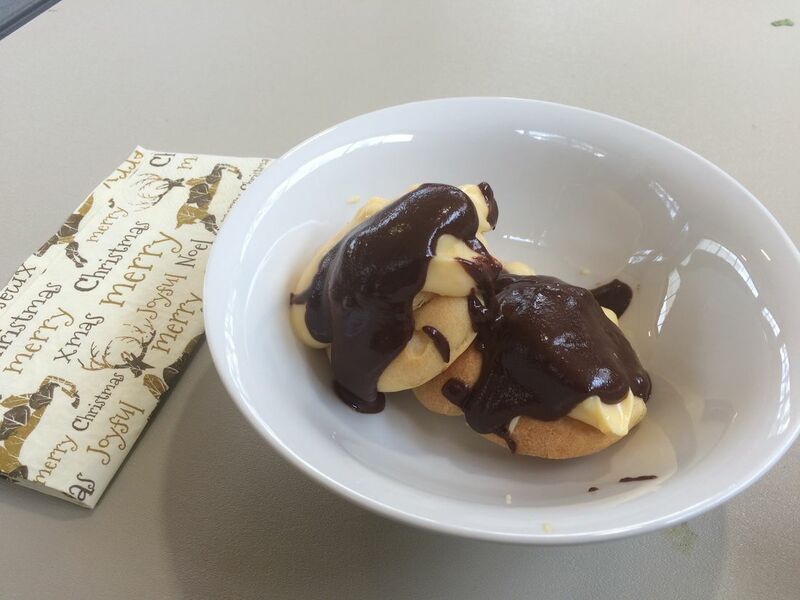 It was, and it was delicious! 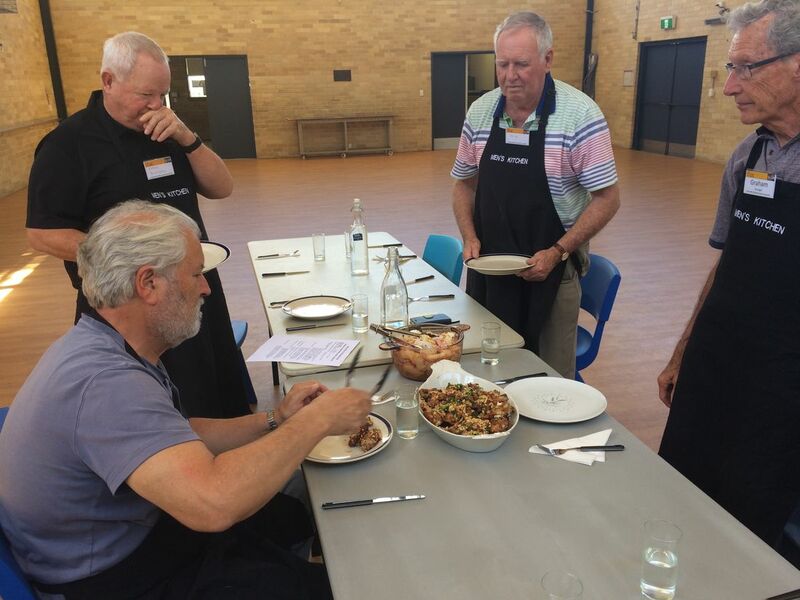 On our Open Day on July 28th the boys prepared Chinese Chicken for our guests. No complaints were heard anywhere. 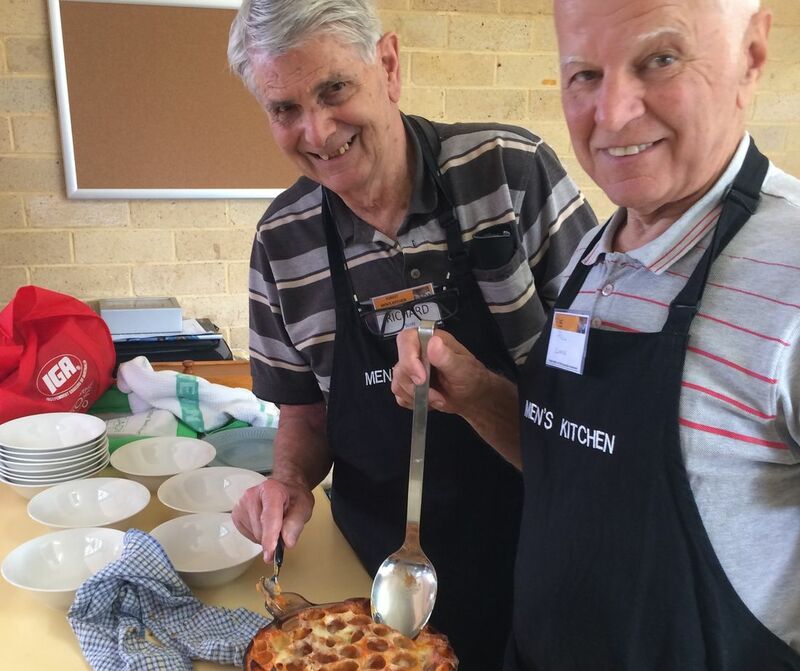 Richard and Paul are keen to get stuck into the cannelloni bolognaise. Terry and Peter check out the new stove. 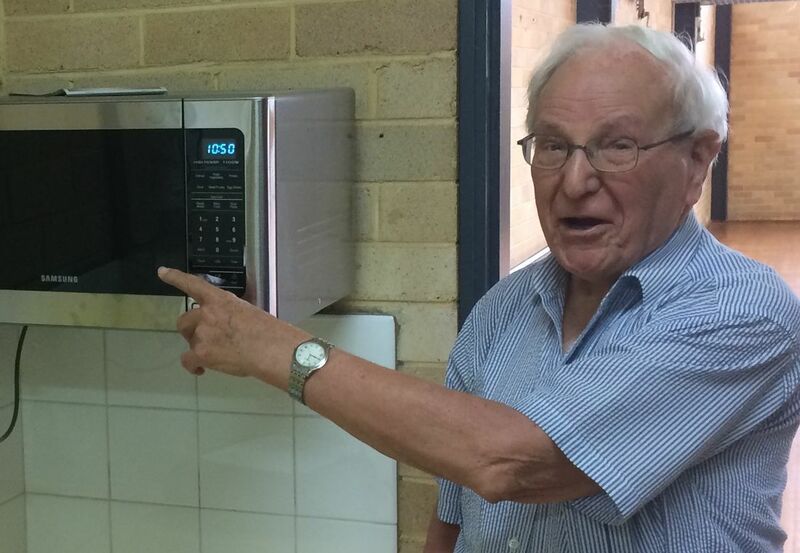 Peter explains how the new microwave works.